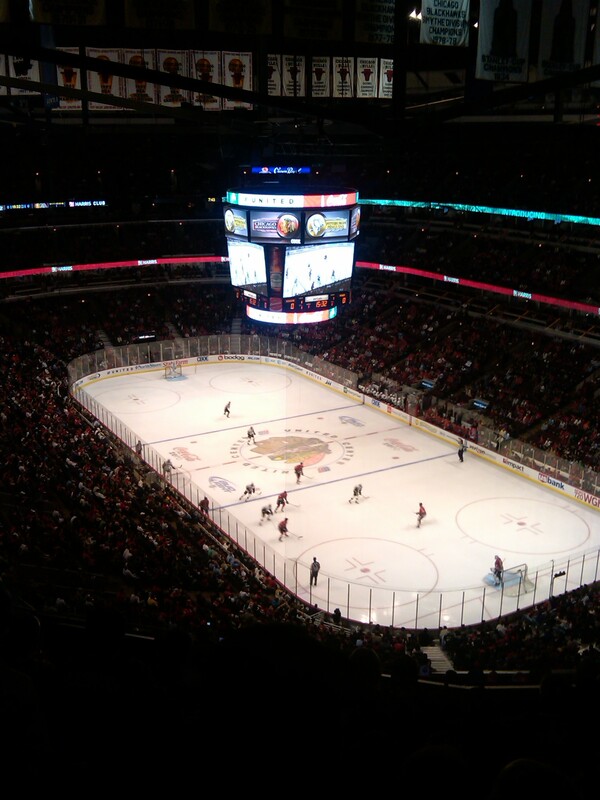 This was my first time at the United Center for a sporting event. It’s true–there isn’t a bad seat in the house. 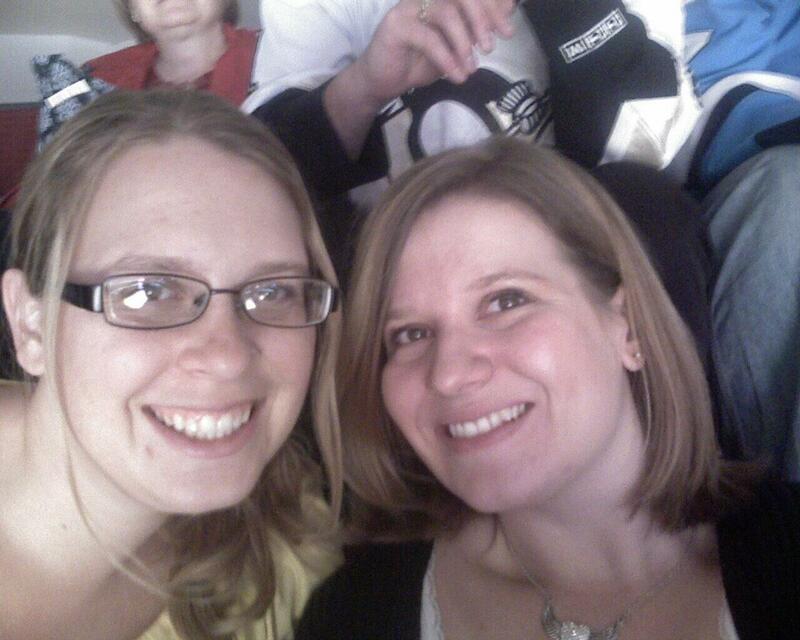 Sitting in the 300’s, we had an excellent view of all the action on the ice (yes, even those two goals scored by MaryANN…gag me). It was also my first sporting event while I was in Chicago as a faithful member of the opposing team. I really had no idea what I was in store for. Getting there right before the start of the game–I really enjoyed the pump-up video to get the fans going. 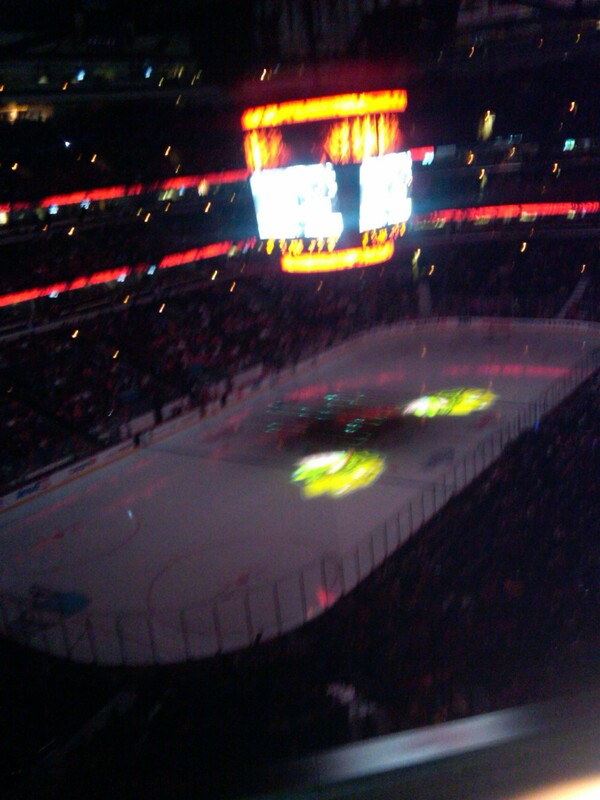 Strangely enough, nothing screams hockey like the Pirates of the Caribbean theme song and a killer light show. Paired with the “tunnel-vision” camera of the Hawks walking to the ice and everyone was raring to go. One thing I don’t get–that I was glad to experience as its specific to Blackhawk culture–is the yelling, screaming and making noise during the national anthem. I just don’t understand it and find it fairly disrespectful-to the country and the singer–who actually was quite good. I know that incorporating fun things in the anthem is all the rage these days (“O!” for Syracuse, “Hail” for Michigan etc.) but I think just making noise is kind of weird. That being said–it definitely continues to pump everyone up for the game at hand–there’s absolutely NO LULL in excitement and support from the fans, from the moment you walk into the United Center to the moment you leave–and I can dig that. 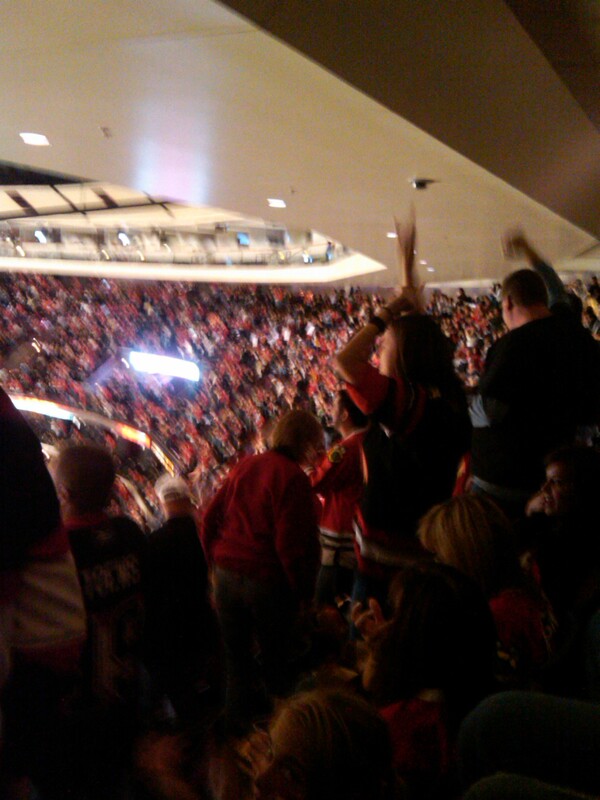 I was impressed by the Chicago fans for a few reasons: the arena was packed by face/0ff. Even for a pre-season game, the support of the fans was tangible–with fans genuinely enthralled and paying attention to the game. 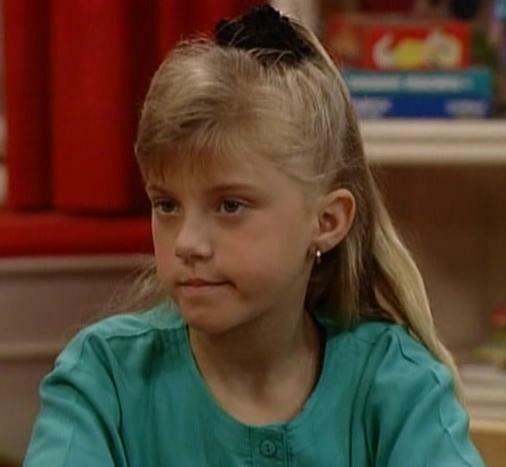 Additionally, I thought–overall–the fans were pretty classy. Never toeing the line of acceptable obnoxious sports behavior–and as we all know the tendency gets greater when you are CRUSHING the opposition– I was met with a variety of awesome comments–“We’ll see you in the Stanley Cup” being the one most popular. Also, we were allowed the ability to cheer–often loudly–for our team, with little to no friction from home team fans. This is hard to find in the sporting world today (I’m looking at you, Philadelphia) so I appreciate the positive atmosphere. One thing I did notice, “The Song”, yes that one is NOT as much fun when it’s being played against your team (over and over). However, it was really cool to be in the UC and experience the goal celebration ritual that I’ve come so accustomed to through television. 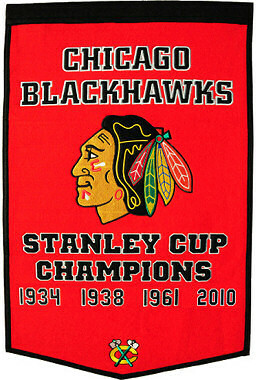 One thing that I was disappointed in was the mass exodus of Blackhawks fans with 4:41 left in the third period. Yes, you were killing us 4-1, and yes, it’s a pre-season game. And yes you’re always going to have people everywhere that miss the whole point of sports–that saving an extra 20 minutes in the parking lot is worth abandoning your team–but the mass exodus of people leaving was alarming. When MaryAnn put the nail even further in the coffin by scoring his second goal of the night-no one was there to cheer. That would have NEVER happened in Pittsburgh–in fact, it would have been over their dead body–even if they were losing by five. And last night, when we were getting slaughtered, we stayed till the game was over and cheered like CRAZY when we finally got on the board, because you don’t leave your team behind–win or lose. Just an observation we Yinzers noticed last night–but I’m completely willing to give the fans another shot before passing final judgement. One thing’s for sure–the fans awareness of the game and enthusiasm for it drowns out Cubs fans–hands down. 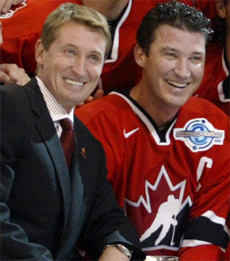 And let’s get serious–if they were playing anyone OTHER than the Pens, I would have been in my glory. The game ended and we strolled back to our party limo (singing the Pittsburgh Polka, natch) and returned back to the comfy nook of Lincoln Park. While it’s always fun to go to sporting events, this experience was elevated to a different level of awesome as it was completely unexpected–and a great ending to a long week! This weekend was chock-full of fantastic sporting events–Part Deux of the Cross City Classic, US putting up a valiant effort in the World Cup and the FANTASTIC rumor that Lebron James is making his next home right here in Chi-town.